Marc Wallerce (left), owner of the Winthrop Marketplace, greets Jeffrey Carson of Mi-Amore as Carson picks up food for distribution to families that need it. Wow, there are as many ways to get food to people who might otherwise go hungry as there are people who want to end hunger. It was only a couple weeks ago that I posted about a food initiative in Toronto. Here’s one in Massachusetts. “So Carson and his wife, Suzanne, both veterans, began to work on creating a nonprofit in Winthrop where they live. The idea for Mi-Amore seemed ‘so simple,’ says Carson: Food was going to waste — in the United States it is estimated that as much as 30 percent to 40 percent of edible food is wasted each year — and yet there were people who went hungry. As military officers, both he and his wife were used to finding solutions to problems, Carson says. “Half of the recipients are children. When asked about recovering addicts, Carson says that ‘recovering’ can be a loose term but is quick to recount what one board member, a school nurse, told him. ‘Having food in your refrigerator sometimes is the line between recovering or not,’ she said, adding that the stress of no food can push some over the edge. I’m not really surprised that two former military officers have shown perseverance when faced with the challenges of launching something new. As Massachusetts Congressman Seth Moulton, a former Marine, has often said in the context of what sorts of people he’d like to see run for office, veterans are generally people who are motivated by public service more than personal gain. Jeffrey and Suzanne Carson strike me as perfect examples of veterans motivated by public service. Starting August 11, five “fog sculptures” by artist Fujiko Nakaya will grace the string of Boston parks known as the Emerald Necklace until the end of October. Nakaya uses a system of pumps, pressurized hoses, and ultrafine nozzles to create her sculptures. You can make art from almost anything, but you need an artist’s imagination to see the possibilities. I notice that in my grandchildren, who take on creative projects that seem impossible to dull adults — like making a necklace with a heavy rock and some paper. In this story, artist Fujika Nakaya saw the possibilities of fog. As Graham Ambrose reports at the Boston Globe, “The Emerald Necklace, Boston’s 7-mile pendant of parks built in the 19th century, will soon have a new adornment: a string of artworks made from water vapor. Read about the dramatic origins of the sponsoring conservancy at the Boston Globe, here. The Emerald Necklace was the work of landscape visionary Frederick Law Olmsted, who also created designs for New York’s Central Park, the 1893 Chicago World’s Fair, and more. One of the places I volunteer to help adults learn English is Jewish Vocational Service (JVS) in Boston. The students come from all over the world as JVS is a resettlement agency as well as a job-placement agency, but the majority that I have met are either Latino or Haitian. Although my focus is on helping people learn English, I’ve come to appreciate the way JVS prepares students for the workplace. It actually finds the jobs for them and has many partnerships with companies that need entry-level workers whether or not they speak much English yet. As Boston’s labor market gets tighter, more businesses are seeking out these workers. Katie Johnston at the Boston Globe provides a window on the phenomenon. 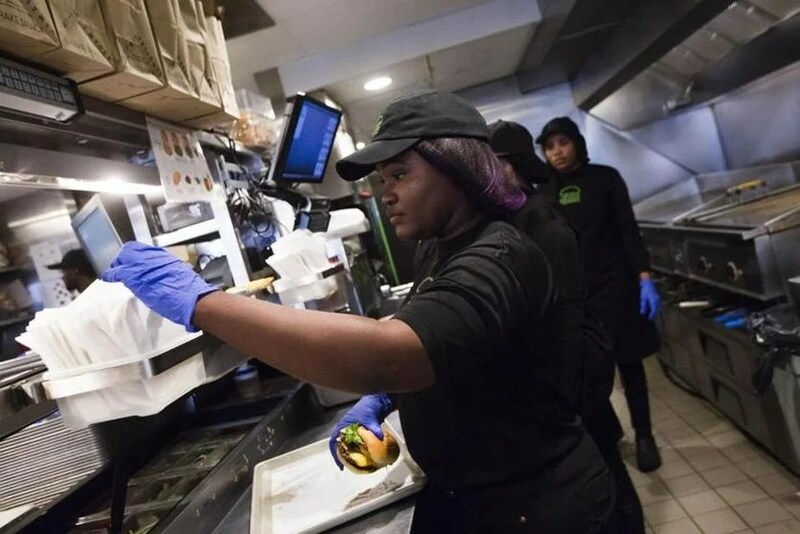 “The lunch rush was just beginning at Shake Shack on Newbury Street and the all-American tasks of grilling burgers and making milkshakes were being handled by a crew made up almost entirely of immigrants — from Haiti, Senegal, Morocco, El Salvador, and Ethiopia. “But these weren’t just people who happened to apply for a job: All of them were actively recruited by the restaurant chain, including those who spoke little English — a marked difference from years past, when only workers with strong English skills made the cut. “And, as it turns out, some of these ‘hard-to-employ’ people make excellent workers. “Joseph, who studied English in Haiti and also speaks French and Haitian Creole, has been at the Newbury Street restaurant for less than a year and is working toward becoming a cross-trainer, a kind of jack-of-all-trades role that comes with a bump in pay from $12 to $14 an hour. Joseph also recently became a certified nursing assistant, a profession in high demand, but plans to keep working at Shake Shack even after she finds a job in health care. “Of course, hiring these nontraditional workers can present challenges for employers, who might have to make adjustments for someone who is blind or has a limited grasp of English. More at the Boston Globe, here. The article also covers “Triangle in Malden, which trains and supports people with disabilities and [is seeing an uptick in] requests for workers, largely from health care and retail companies.” And you can read about how the Suffolk County Sheriff’s Department helps employers place promising ex-offenders. The museum now offers free family admission to new citizens. 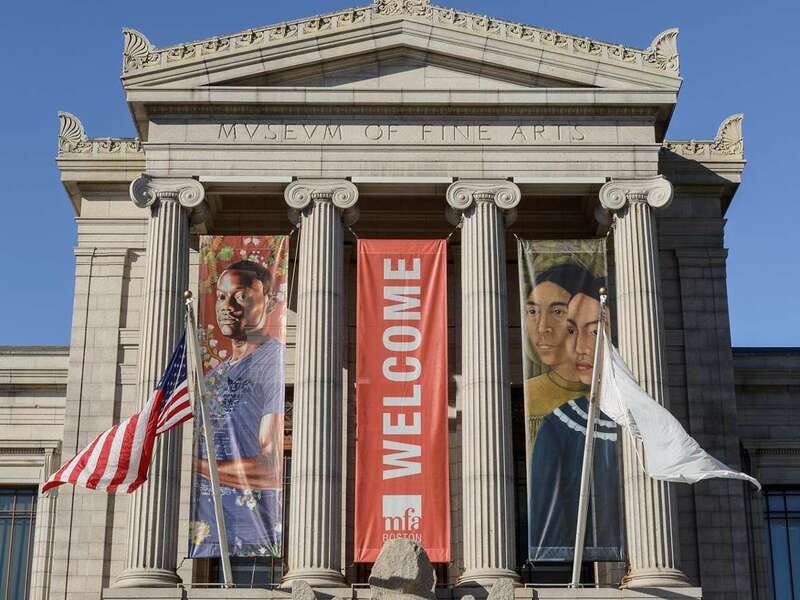 The magnificent collections of Boston’s Museum of Fine Arts have gotten out of reach for many people as admission on most days has escalated. So it was with great interest that I read at the MFA website about a generous program for one deserving group of people: New Americans. “New citizens can sign up for the program by showing a copy or photo of their naturalization certificates at any MFA ticket desk within one year of their ceremony. They don’t put this initiative in terms of the current controversies swirling around immigration, but to me it feels like an institution taking a positive stand in a troubling climate. I hope it will catch on.